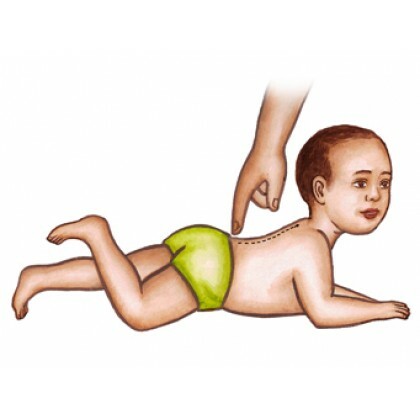 The Spinal Perez Reflex is the basis for whole body coordination and development, especially for the links between the limbs and head through the core of the body, both front and back. This reflex influences the development of spine movements for extension, flexion, and stretching, and supports spine postural control. It also influences the functioning of the cerebrospinal fluid pumping mechanism and the micromovements of the cranial system.